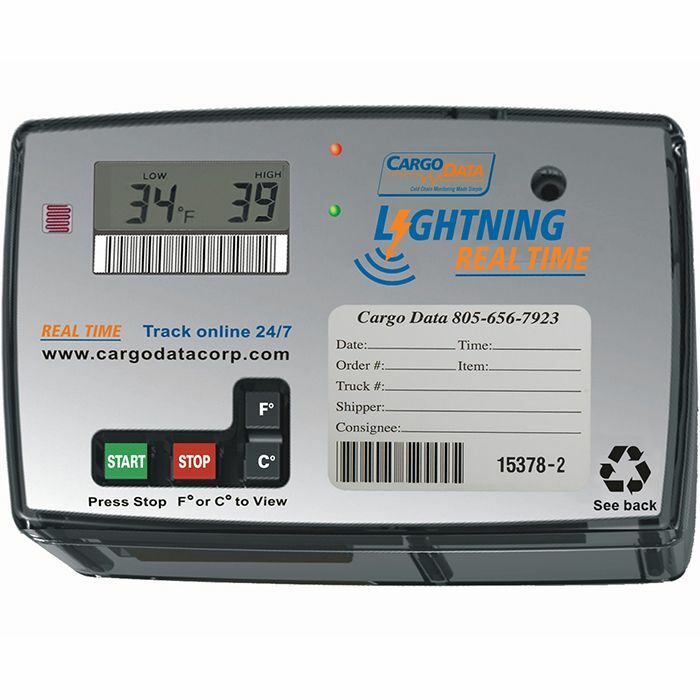 Lightning Real Time single-use temperature recorders provide online access to current temperature, location, and door status while perishable shipments are in-transit. This “set it and forget it” level of automation provides all the documentation required for compliance with the FSMA Final Rule for Sanitary Transportation of human and animal food products. If desired, Lightning Real Time instruments can be pre-configured to issue SMS/email alerts when truck/trailer temperature breaches its intended temperature range. All temperature, location, arrival quality attribute data, and photographs are immediate archived online for easy access. 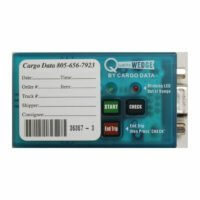 FSMA “Sanitary Transportation Final Rule” compliance has never been easier! Lightning Real Time is available in 5, 10, and 20 day and longer run times. Contact us for details. Detailed Use and Configuration manual can be downloaded HERE . Note: Unlike competing systems, Lightning Real Time is also designed to provide the Inspector/Receiver with a complete temperature chart at the trailer door. Lightning Real Time temperature charts can be viewed immediately upon arrival. 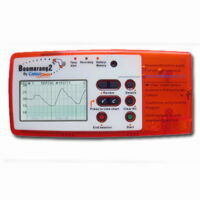 The Inspector simply holds Lightning Real Time back-to-back with an ordinary iPhone (iPhone 7 or higher) or Android smartphone, or tablet, to review the temperature record. Using our free Lightning App., the Inspector can add documentation about arrival quality attributes, add photographs, and even log accept/reject determinations. Since Lightning Real Time instruments are pre-configured for your specific application, they must be ordered via telephone. 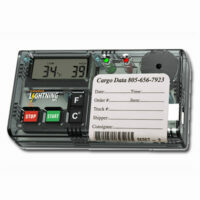 Call Cargo Data Corporation toll free in USA at 800-338-8134 or from non USA phones 805-650-5922 to order your Lightning NFC Real Time instruments.